What would you do if you didn't have access to your doctor or hospital when you had a medical need or emergency? If you are a prepper (or love one), then you have probably considered this question many times. Water, food, shelter, medical care... If the grid goes down, those are the big four that we will have to replace. Plant-based medicine in the form of essential oils is one answer to the "What now?" question and this eBook (especially bundled with this essential oil starter kit) the perfect introduction for any serious prepper. I bet you thought that essential oils were just for ladies who like to smell pretty, didn't you? Well, then let this be the start of your new chapter in prepping! Not only are these little bottles packed full of potent drops of therapeutic grade oils... but those oils are the secret to grid-free health and first aid. I was an essential oil skeptic until I experienced the powerful impact of each drop. I was also a prepper skeptic... until my charming and persistent husband finally won me over. I tell that story in this eBook. And I walk you through the basics of the simple use of essential oils for your family now and in times of emergency. What are some topics included in this 40-page digital volume? You can purchase the top ten essential oils I write about in my shop bundled with the book in my shop HERE. Or... You can purchase the ebook separately for $7.99. And I realized that we needed our own plan for emergency situations. Essential oil first aid kit for the car? Check. Essential oil first aid kit for my purse? Check. Essential oil first aid kit for the my bug out bag? Ummm.... nope. How was I going to convince MEN that essential oils should be an important part of their prepping? It's not actually that difficult to convince an intelligent guy to adopt a reasonable plan for health care. What is often more difficult than helping someone understand the benefits of plant-based medicine, is leading them to good quality oils. The majority of essential oils on the market today are pure garbage and their labeling is full of outright lies. Professional chemical analysis by watchdog groups show time and time again that Amazon, Walmart, Target, Walgreens, and countless other sources, are a bunch of hyped up perfume. How about it? Want to use a chemically perfumed mish mash for your skin or body systems? Nope. Me neither. Cheaper is not better in this instance. You will find that most of the good essential oil companies charge about the same for their oils, give or take a couple dollars. My recommendation is always doTERRA since their sourcing and company values are second to none. 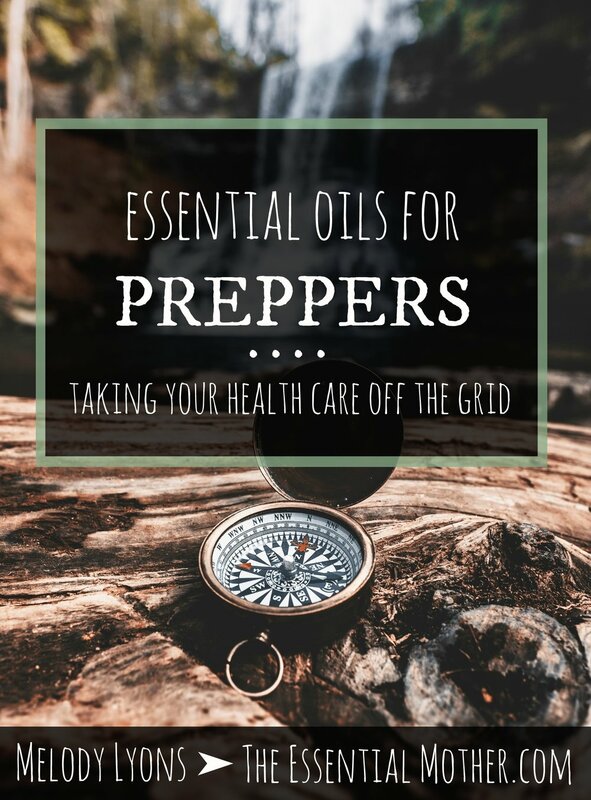 If you'd like to jump in and get started with your health care prepping, check out my "Small Prepper" and "Big Prepper" essential oils starter kit bundles. These make a great gift for preppers. But be careful... you may just find that they change your life even without an emergency! Can I help you design a custom kit? Contact me! Or go HERE to learn more about essential oils.